In a sea of mediocre-to-good applications, it’s important to be able to recognize good resumés quickly. A great resumé is one that compels you to call them immediately, or at the very least, leave you in no doubt that you should be putting them in the “yes” pile. Since the average recruiter can spend as little as ten seconds screening resumés, it’s important to be able to make decisions quickly. Below are six practical tips to enable you to separate the great CVs from the dull in as little time as possible. A good candidate will be aware that their resumé is the first part of them to be introduced to the company, so they will have put effort into making it as clear and readable as possible. Before even looking at the content, the first thing about a great resumé that should grab you is how clear and well-formatted it is. The name and contact details should be top (no need to search for the phone number to call them for an interview), there shouldn’t be dense blocks of text that obfuscate key details, and their employment history should be in reverse chronological order. In recruitment, one of the main reasons for a candidate turning down a role or accepting a counteroffer is location and commute time. It’s imperative to ensure that the move will make sense for the candidate in the long term and that they won’t leave as soon as something with a shorter drive to work presents itself. So, start your selection process by checking the candidate’s address if they’ve included it. Unfortunately, many job hunters go on an application spree and submit CVs to any a role that seems broadly in their space, so save yourself time (and the candidate heartbreak) by limiting your initial selections to candidates within a commutable radius of your company. A good candidate will understand though, and a great CV will show their geographic suitability clearly. A good rule of thumb in recruitment is that gaps of over six months in employment are often a warning sign. A great CV won’t have any significant career gaps (and ones that do will note the reason; for instance, traveling or maternity leave). Similarly, having more than two or three jobs in a 12-month period can often be a red flag that you’re not looking at a long-term prospect, so a great CV will show a good average length of tenure. Many roles now require a minimum level of education, and on a strong, well-appointed resumé, the candidates’ educational background should be clearly laid out to enable you to check this. You don’t need to read the entire document to recognize a good resumé. A quick scan to the trained eye will turn up multiple spelling mistakes and poor sentence construction in only a paragraph or two. If these are immediately obvious, chances are that the rest of the CV won’t be impressive either, so save yourself some time and stop there. A great CV will have been checked and re-checked for errors and suggests that there’s a person with excellent attention to detail behind it. 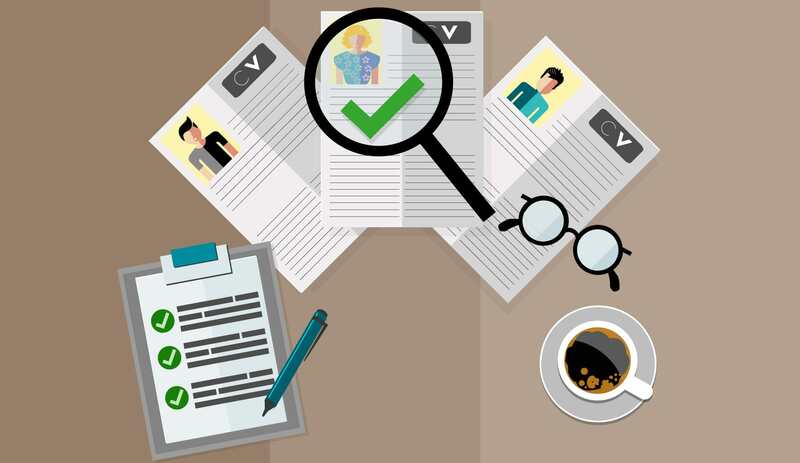 While it’s impossible to really tell what a candidate is like from a short, formal document, there are multiple clues that point to a great resumé, and thus a great candidate. Learning what to look for within the few minutes you available have to screen means you can quickly identify a “great” resumé.